Do you dream of setting off to cycle round the world (or across a continent, or even just around your own country), but assume that it’s simply not possible? That it’s something only other people do? That you need to have special reserves of strength, courage and capability? So did I, until a couple of years ago. This page was conceived when I had lunch with Rob Lilwall in Hong Kong. I was honoured to meet one of the most famous cycle explorers alive, and he was pleased to have found a female cross-continental cyclist that he could point to whenever women approach or email him, as they frequently do, to ask if it would ever be possible for them to do what he did. At first I found this rather funny, because I’m living proof that you don’t need to be a superhero to cycle around the world. But I became preoccupied with finding out what fears and false beliefs might be holding women back from realizing this ambition themselves. So I’ve put together a panel of some of the most experienced female cycle explorers, to answer your questions, and to reassure you that, although what we’re doing is sometimes extremely difficult and exhausting and scary, it is possible. Helen Lloyd pedaled solo from her home in the UK to Cape Town, South Africa, counting beers, miles and marriage proposals along the way. 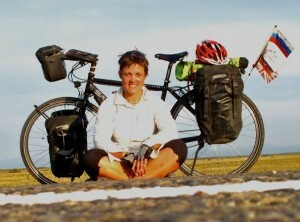 Following a lengthy tour through Canada, the US and Central America, Helen is now writing a book about her adventures. 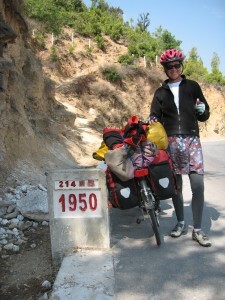 Eleanor Moseman has been cycling Asia since May 2010. Known as Wander Cyclist, her tour focuses on documenting hidden communities, disappearing traditions, and cultures in danger of being erased. Rachel Hugens travelled alone for a year in New Zealand and Australia,where she met her husband Patrick. 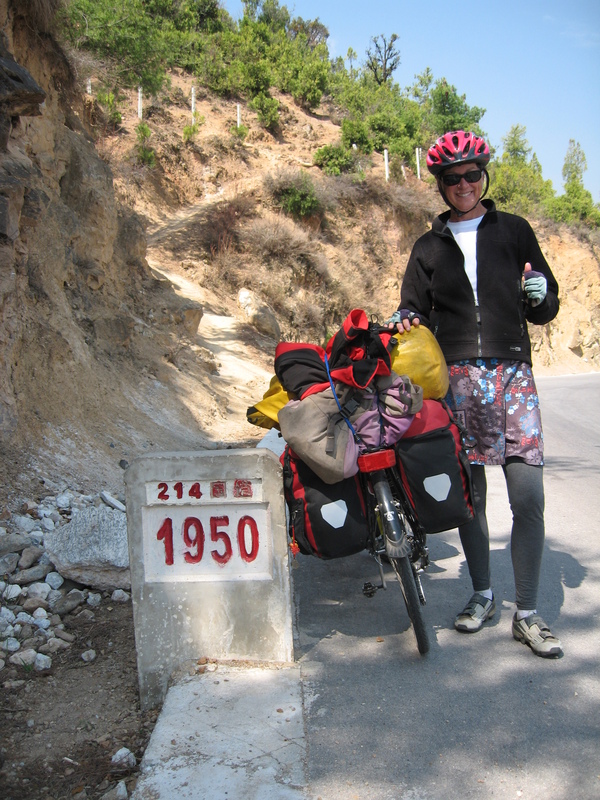 Since then the two have cycled around South America in 1999-2000, through Indonesia, Malaysia and Thailand in 2006-2007, across Tibet and Nepal, and then back home to Boise, Idaho from the Arctic Circle. 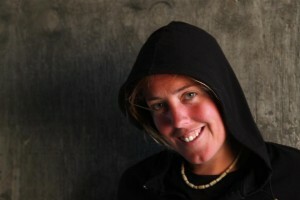 Sarah Outen is currently aiming to complete a human-powered loop of the planet, using a bicycle, a kayak and a rowing boat. She’s already the youngest person to row the Indian Ocean, and is currently gathering her forces for a second attempt on the Pacific, after running into a tropical storm. 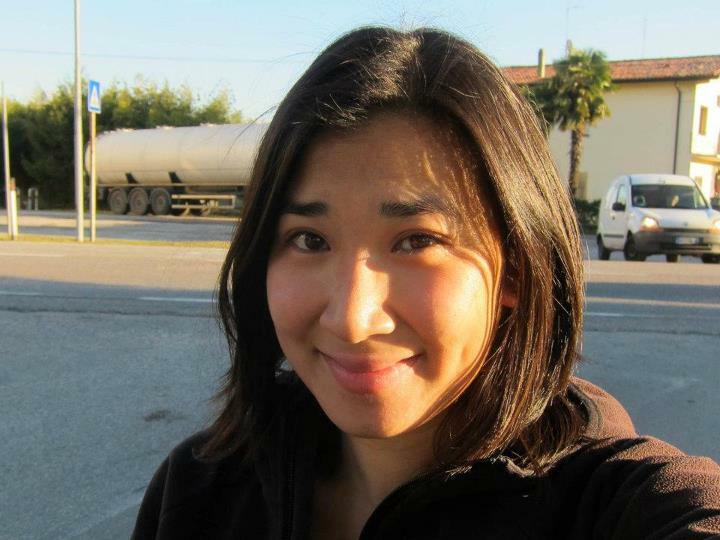 Amie Thao couldn’t decide whether to be an artist, a librarian, a psychotherapist, or a writer—so is wandering around the world on a little blue bicycle: 21,000 kilometers and counting. She picked up co-pilot Olli in Finland, and the two are now in Japan and will cycle south to Vietnam. Loretta Henderson has been pedalling the planet since 2009, and has already covered much of Asia and Africa, along with Australia, New Zealand and some of the outer corners of Europe. 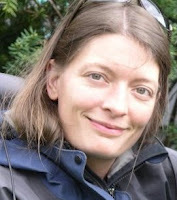 Highly deserving of an award for services to cycling, Loretta has put together the famous WoW (Women on Wheels) page – probably the biggest collection of solo female cyclists you’ll find anywhere.